Facilities and estates management and the links and interfaces between these areas. The key characteristics which all of our staff have in common are a strong work ethic and a focus on customer service. Our way of working is to empathise, listen, understand and talk through the issues. We are all passionate about offering tailored solutions based on our knowledge of best practice across a range of sectors. We have an established reputation for tackling and solving intricate or highly sensitive Infrastructure/FM assignments – from modest single sites through to extensive international portfolios, with FM staff in their thousands, and supply chains numbering hundreds of contractors. Michael is one of the founding directors of Larch Consulting. Originally qualified as an architect and surveyor, Mike had already been advising organisations in the UK and internationally on how to achieve a holistic, integrated support service for many years before establishing Larch in 1995, as facilities management was first emerging as an industry in its own right. Mike has conceived and implemented innovative and successful FM delivery models for organisations as diverse as John Lewis Partnership, De Beers Diamond Trading Company, the Scottish Government, Bristol University, the Pearl of the Gulf in Doha and Princess Nora University Hospital in Saudi Arabia. He is best known for his transformational re-modelling of FM and infrastructure services, challenging the traditional approaches that continue to disappoint and frustrate clients on a daily basis. Mike became involved at an early stage in establishing the standards for the profession, both through his role in developing the training pathways model for public sector practitioners, and as an external examiner for the prestigious FM Masters courses at the College of Estate Management and Sheffield Hallam University. A leading light of the profession, Mike was the first ever recipient of the PFM Lifetime Achievement Award in Facilities Management. 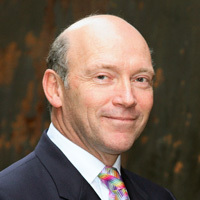 Outside of is work at Larch, he is the Chair of the Board of Governors at Glyndwr University, the UK’s newest university. 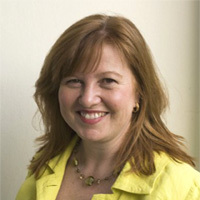 Lucy is one of the founding partners of Larch Consulting and has over 20 years’ experience in advising on all aspects of service strategy and delivery, and has led Larch on FM improvement programmes for organisations including Diageo, Sainsbury’s, John Lewis Partnership, Bullring, De Beers Diamond Trading Company, University of Bristol, Queen Mary University, London and many others. Lucy’s particular area of expertise is sourcing strategies, writing books, guides and articles and advising a wide range of commercial companies and public sector bodies. Lucy has been voted by her peers as a Pioneer of FM, one of the 20 Most Influential Women in FM and is a former Midlands Businesswoman of the Year. She is a governor of an FE college in Birmingham, a founding committee member of Women in FM and sits on BIFM Members Council.